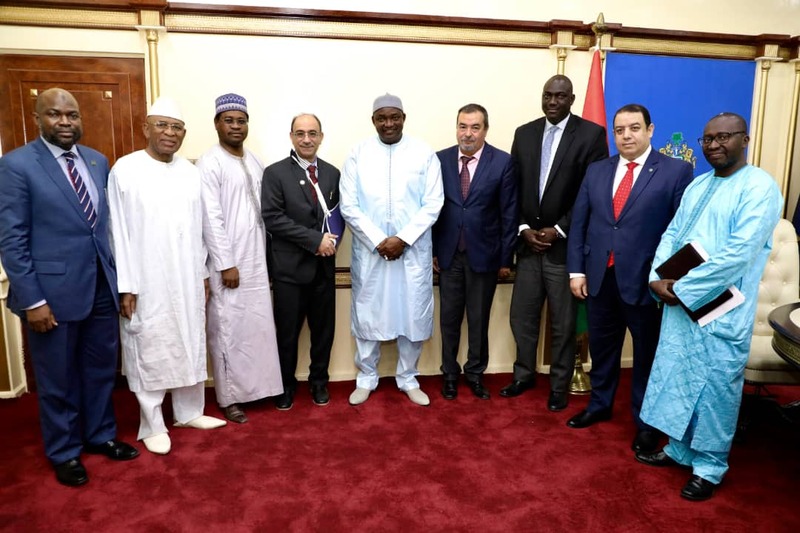 State House, Banjul, Wednesday 28th November, 2018 – The Secretary-General of the OIC-Gambia Secretariat, the national body tasked with the responsibility to host the 2019 Organisation of Islamic Cooperation (OIC) Summit in The Gambia, has given an emphatic assurance that the country is on track to organize the global event successfully. Mr. Lamin Sanneh made the comments after a closed-door meeting between His Excellency, President Adama Barrow and a technical team from the OIC Headquarters in Jeddah led by the Special Adviser of the Secretary-General of OIC. The team is currently in the country to assess the level of readiness and preparation on the ground ahead of the high-level meeting next year. ‘’The Secretariat’s function is to mobilize resources and to support the government to implement the priority projects; for that one, we are on course. We are mobilizing resources that is why this team is here. So, we are on track. As far as we are concerned, whatever is required from The Gambian part, we are doing’’, he assured. ‘’If you are talking about the projects, very soon. We are at the prequalification stage for the roads, water, electricity, even the expansion of Bertil Harding [Highway].’’ However, Mr. Sanneh was quick to add that the projects would not be rushed stressing that getting it right is most important. On the outcome of the assessment, he told the State House media corps that The Gambia was found to be sticking to the technical guidelines set out for it by the Jeddah Secretariat. As a result of the satisfactory performance of the preparatory work being carried out on the ground, the visiting team, under the leadership of the Special Adviser of the OIC Secretary, has pledged to strengthen coordination and offer all the necessary logistical and operational support needed. The Heads of State and Government Summit of the OIC is one of the biggest gatherings of world leaders.